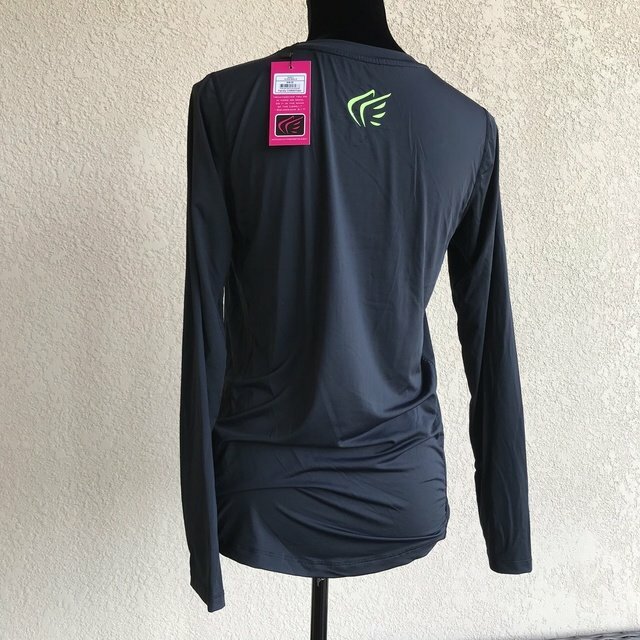 Womens Active Faith Sports Long Sleeve Running Shirt Black NEW NWT Size Small New with tags from Active Faith Sports. 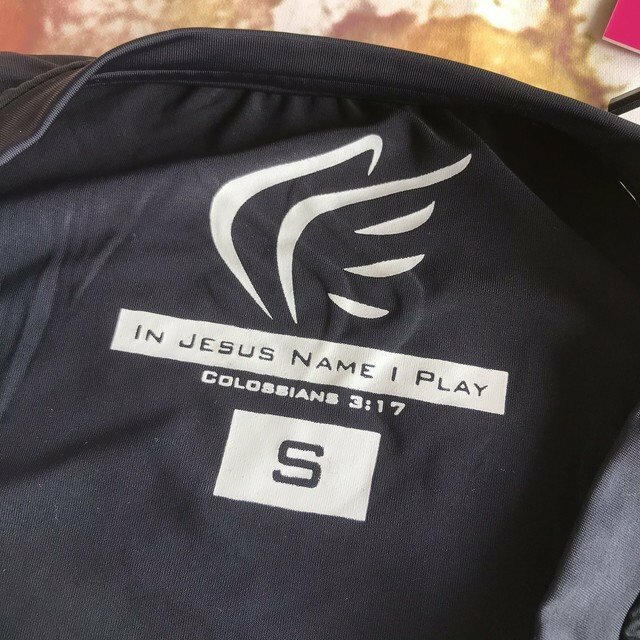 In Jesus Name I Play is the tag line. 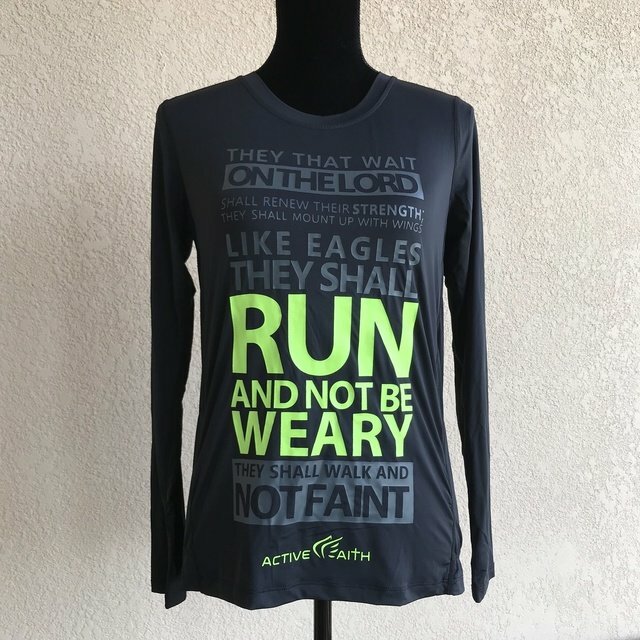 Front of the shirt has words in gray and neon. 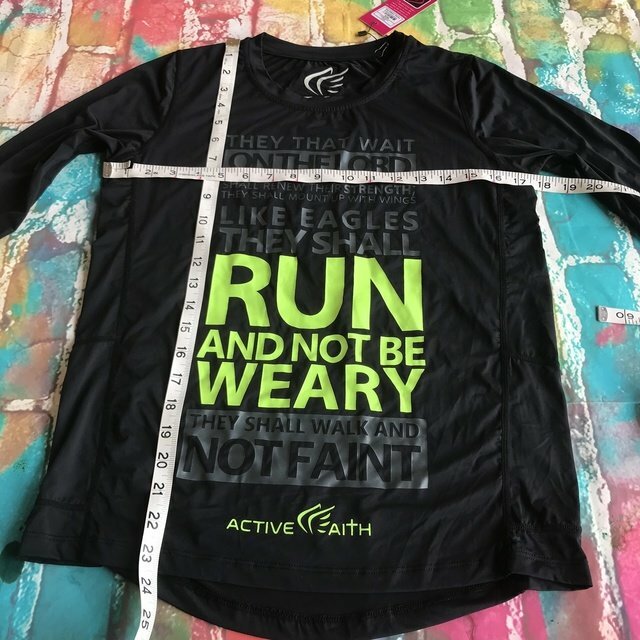 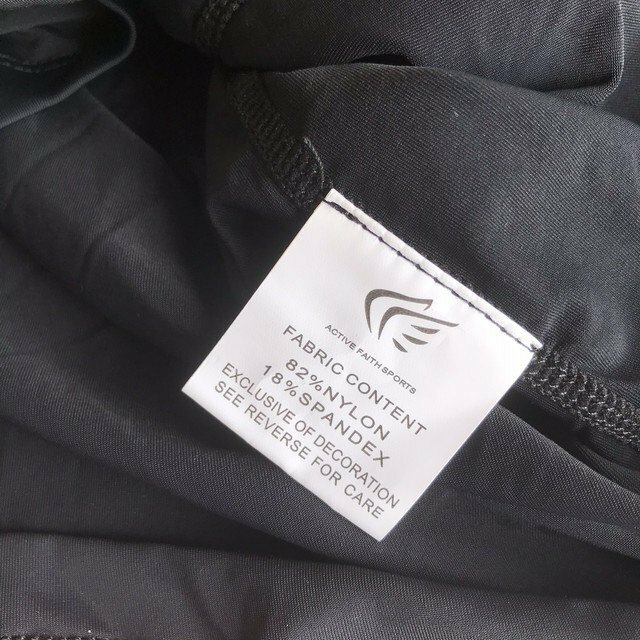 "They That Wait on the Lord Shall Renew Their Strength: They Shall Mount Up With Wings Like Eagles They Shall Run and Not Be Weary They Shall Walk and Not Faint" 82/18 Nylon/Spandex Machine washable.